At this very spot, the Union soldiers released many Confederate prisoners at the end of the Civil War, many of whom were very sick and malnourished and died in the hotel. To make matters worse, in the 1970s a Vietnam vet had a flashback and shot 4 hotel guests to death. 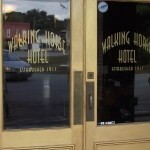 As one would think, the hotel is very active with supernatural phenomena, including the sounds of voices, gunshots and walking and running footsteps in the hallways. Of the hotel’s 13 rooms, Room 11 is said to be the most active and folks here have reported a feeling of being watched. Um, What Vietnam Vet? Who did he shoot? What year? Great great grandafther and grandmother and uncle built this hotel and also ran the hotel. And are also buried up the road from the hotel there in wartrace . Been here. It’s amazing. The people that run it are phenomenal and very open minded. That being said, the Vietnam Vet thing never happened according to those that actually own and reside in the hotel and they have no reason to keep that info from anyone. It is very active though. A great place to investigate! 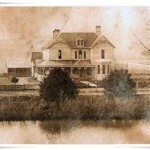 HOUSE AND WAS USED A CIVIL WAR ERA HEADQUARTERS….. BUT THE HOTEL WAS NOT EVEN THERE DURRING THE CIVIL WAR….